Benchmark indices tanked in the early morning trade on Tuesday with Tata Motors and Asian paints leading the fall. The S&P BSE Sensex was at day's low with over 400 points fall, while the broader Nifty50 index fell below its crucial 8,150 level. At 11:47 am, the 30-share index was trading at 26,406, down 412 points, while the broad-based 50-share index was quoting 8,145, down 150 points. In broader markets, Midcap and Small cap indices underperformed benchmark indices. BSE Midcap fell 4.19% while small cap was down 4.98%. BSE Auto was the top sectoral loser with a 4.6% fall followed by realty sector down 3.7% and consumer durables 3.6% post disappointing IIP numbers. Nifty PSU was trading in green with 3.36% rise while banking indices were also marginally up in early morning trade. “Nifty will trade between 8100-8700 for next one month. The impact of demonetization will be very negative for many Mid-cap and small cap stocks. Consumer discretionary stocks will correct more than expected,” said AK Prabhakar, Head of Research at IDBI Capital in a technical note. “Nifty50 corrected to 8002 level after hitting 8968, so if we fail to cross 8750 then trend remains at 7600 or 7500,” he added. The market was closed on Monday on account of Guru Nanak Jayanti, hence companies that posted earnings during the long weekend will be in focus in today’s session. Meanwhile, Rupee fell 0.58% to Rs 67.64/$, lowest level since June 30. Tata Motors fell 7.74% in early trades on Tuesday post reporting a Rs 848 crore net profit in Q2. It had reported a loss of Rs 1,740 crore for the same quarter last year. Tata steel was down 4.76% at 413 after the company posted earnings after market hours on Friday. It reported a net loss of Rs 49.3 crore in the September quarter. Bank of Baroda rose more than 8.5% after reporting four-fold jump in Q2. Hindalco was 1.91% up post a 255% jump in its net profit to Rs 440 crore in Q2, as compared to Rs 123 crore in the year-ago period. 33 companies are going to announce their September quarter results today. These include Shree Renuka Sugars, Balrampur Chini, Sadbhav Infrastructure Project, and Container Corporation of India among others. SBI rose 3.39% post the demonetization move by the government. The company announced it got deposits of Rs 83,702 crore in five days. 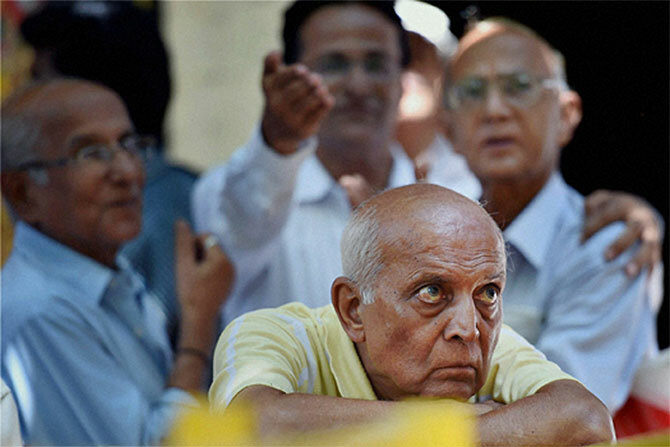 Maruti, Asian Paints, Bajaj Auto and DLF slumped 5.12%, 8.71%, 4.99% and 5% respectively. ONGC and Dr Reddy’s remained top gainers. Market reacted to a marginal 0.7% rise in the September factory output from previous month’s fall of -0.7%. The capital goods segment contracted for 11 straight months to 21.6% in September from 22.1% in August while manufacturing sector rose 0.9% from -0.2% last month. All eyes are now on the CPI and WPI data to be announced today. WPI eased to 3.57% in September after a drop in food prices. CPI was at 4.31% in September. The U.S. dollar hovered near a 14-year high on Tuesday and Treasury yields extended their rise as investors braced for higher inflation in the United States amid expectations of fiscally expansionary polices under Donald Trump's presidency. The combination of the two have derailed Asian currencies and equities, particularly in South Korea, Taiwan and Indonesia, which have seen big inflows this year, especially after the shock referendum vote by Britain to exit the European Union in June. MSCI's broadest index of Asia-Pacific shares outside Japan .MIAPJ0000PUS was flat in early trade after falling nearly 5 percent since Trump's shock victory at the U.S. presidential elections last week. Australian stocks led regional losers with the broader index down 0.5 percent. Hong Kong stocks. On Wall Street, U.S. stocks consolidated recent gains with the Dow ending at a record high on Monday. It closed in green on Monday for a sixth day straight, up 0.11%. S&P 500 fell less than 0.1% while Nasdaq was down 04%. Waiting at the bank at 3 am! Want cash? Bollywood tells you how!